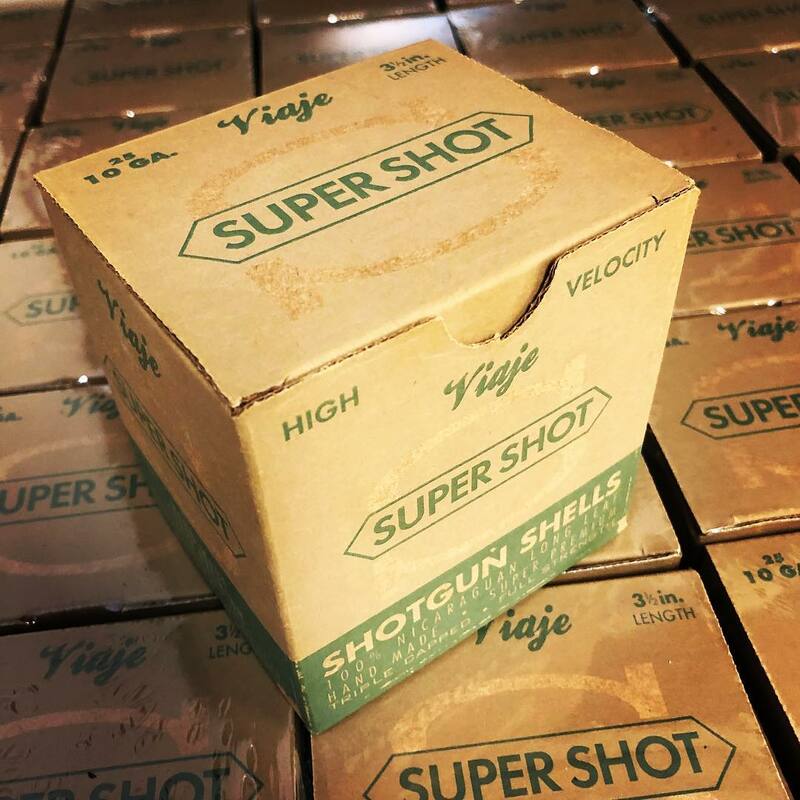 Viaje Cigars has announced that the Viaje Super Shot, a short smoke reminiscent of a shotgun shell, will be making a return in 2019. The name for the Super Shot comes from Farkas’ interest in clay shooting. Farkas was hoping to create a short smoke to have while taking a break in between shooting. The line made its debut in 2012 with the Criollo blend. The Super Shot made a return in 2013 with both the Criollo and a Corojo blend. Since then, the Viaje Super Shot has returned with its original blend in 2015, 2017, 2018, and 2019. As with the previous installments of the core Super Shot line, there are two vitolas. Each vitola is sized to represent the Shotgun shells – a 10 gauge (3 1/2 x 54) and a 12 gauge (3 1/4 x 52). The cigars will come in 25-count boxes looking like a Shotgun Shells box. As with all releases, the Viaje Super Shot 2018 is a small batch release. The cigars are currently en-route to retailers. Viaje has said the allocation to retailers resulted in a sell out of their inventory for this year.